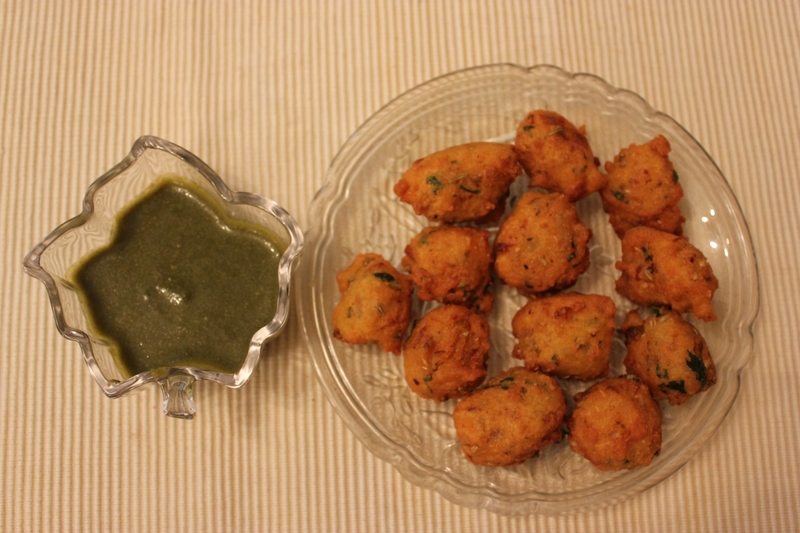 “Moong dal mangore” is a delicious and easy to make snack. It is served as a starter at parties and get-togethers. This is made with split husked green lentils and is this rich in protein. This healthy snack can be made spicier by adding a lot of chilies and is served best with green and tamarind chutneys. Drain the lentil and put it in a grinder with salt and red chili powder. Grind coarsely using less water. Transfer the mixture to a wide bowl and beat it for 5 minutes. Add chopped onions, coriander leaves, ginger pieces and chopped green chilies. Mix well. Heat oil in a frying pan or wok and drop small portions of the mixture in it using a spoon. Fry on medium heat so that the mangore cook properly. Fry until golden brown and then transfer to a dish lined with paper towel. Serve hot with green and tamarind chutneys.